This past Passover, Miri Ehrenthal got a surprise phone call she will never forget. 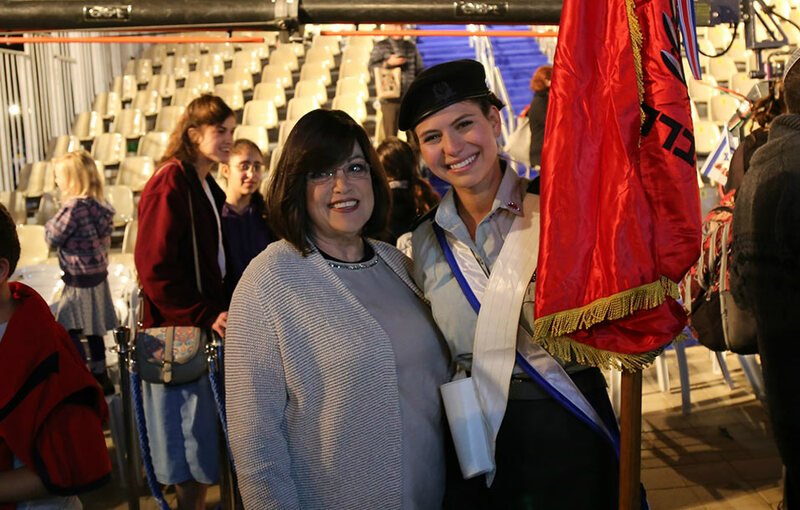 She had been chosen from thousands of people across the State of Israel to light one of the torches at the national Independence Day ceremony. Zichron Menachem has received many awards in the past, including the President's Award, the Prime Minister's Prize, the Jerusalem Prize. But the lighting of the torch is one of the most significant recognitions by the state of Israel. Miri felt that this honour should be given to more than just her alone. "Why not Chaim?" she asked the person to called to tell her the news. "Or the two of us together?" "We want you to do it," they said. 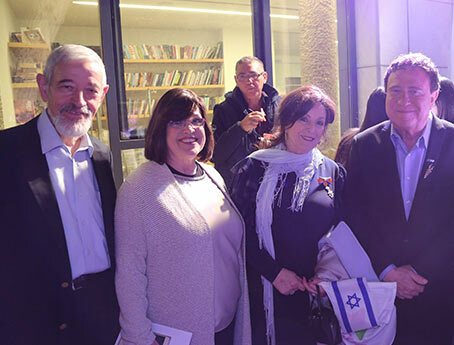 "The love and joy that the children give to the thousands of volunteers and therapists of Zichron Menachem are a source of strength for us all." "My feelings were very mixed," Miri says. "I saw a great opportunity to represent and elevate the entire religious-Haredi community, to show off its amazing contribution. Miri prayed that she wouldn’t be affected negatively by the honour, that she shouldn’t feel too much pride. 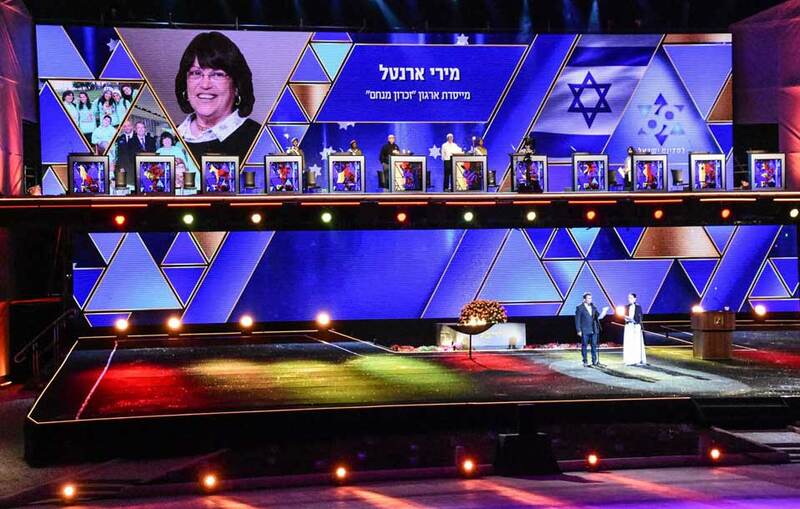 She rehearsed for the ceremony for three days with the other torch lighters, during which they took photos along the walls of Jerusalem, practiced reading their speeches and met with senior officials, including the prime minister and his wife, Israel’s minister of culture, and more. “They told us that we were chosen from thousands of nominees, "Miri says. "I felt that if that were the case, then it was my great obligation to represent Zichron Menachem." At the ceremony, Miri was visibly restrained. "That’s the only way I could have the strength to stand there," she said. 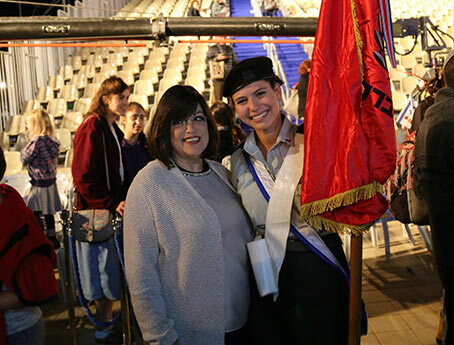 In her speech, Miri thanked the many young people who chose to do their National Service with Zichron Menachem, calling them soldiers of kindness. But the intensity of her words and their meaning was electrifying. 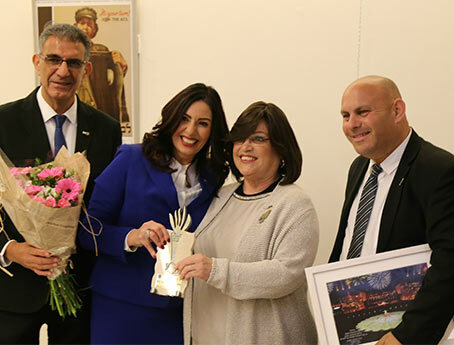 With three more medals for Zichron Menachem, and much meaningful encouragement from people around the country, she returned home, where much of her inspiring work takes place, and where she motivates, and gives joy and hope to thousands of others.